How your face looks, does not simply depend on the facial features. The look of a face is very often defined by the adjacent features we have like our chin, ears, hair etc. The chin is one of those body parts which can make or break your look. You may have a very beautiful face, however, if below those perfect features you have a double chin, anyone who looks at you will first see that chin. This is a problem I have seen many people suffer because once you gain fat on the chin area shaping it on your own through exercise is a very difficult job. Liposuction for the chin area is even more non-invasive as the area being operated on is very small. The only thing that you need to take care of is to find a good and experienced surgeon. The reason for this is that your chin has a structure, and it is important that the surgeon understands that the fat needs to be removed in a specific manner such that after the surgery the shape of your face is perfect. Any inexperienced surgeon may remove fat in an inconsistent manner which may lead to a misshapen chin. Once you have found the surgeon, you may need to go for some medical tests. Even though the surgery is simple the surgeon needs to ensure you do not have any medical history that can cause trouble during the surgery. Based on your medical records the doctor may ask you to start or stop certain medication or supplements. Apart from medical precaution, you must ensure that you are living a healthy lifestyle before the surgery. If you are a smoker it is healthier to quit the habit at this point. Apart from that follow a good diet and a good exercise regimen. Once you are prepared for the surgery, you will be given local anesthesia and the doctor will make one or two small incisions on your chin or behind the ears. From the incisions, a cannula, which is a piece of tube-like equipment will be inserted inside your skin. The cannula will remove the fat which will then be sucked out of your chin using a suction device connected to the cannula. This surgery will take around one to two hours. After the surgery, you will be discharged after a few hours. The physician will give you certain guidelines to follow for the next few days and some for the next few weeks. The patient is required to wear a chin strap to hold the skin in place while it readjusts to the new shape given. Ensure you take any medication that has been prescribed to you. The area where incisions are made must be dressed properly. A shower should be taken after twenty-four hours or as directed by the surgeon. Public water areas like pools, baths etc. should be avoided for a few weeks. Bruising and swelling are common side effects, however, if you feel more than normal redness or chances of infection immediately contact the doctor. With these precautions, you will be up and ready to resume work in a week and return to any heavier form of work or exercise in two to three weeks. Liposuction is a great way to get rid of stubborn fat, however, ensure that you follow a good diet and exercise routine to maintain this new and great sculpted chin you have now got. Luckily for all of you who do not have the patience to wait for years for that exercise routine to finally show some results on your chin, plastic surgery has an alternative. 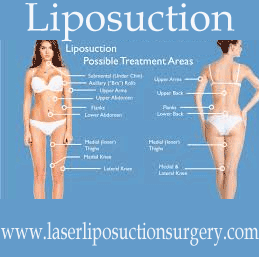 Often people here plastic surgery and think it is a very invasive procedure, on the contrary, cosmetic plastic surgery and special liposuction is very non-invasive. The surgery is so simple that you will be discharged from the hospital on the same day, and can return to work within a week.